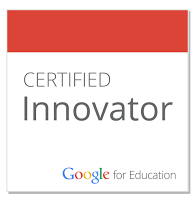 Tools and strategies for assessment - are we over-relying on just one or two? One suggestion would be to map this out to see what patterns emerge. Authentic summative assessment - Could students do the assessment at the beginning, before even starting the unit? And if so, how would it look like compared with summative? 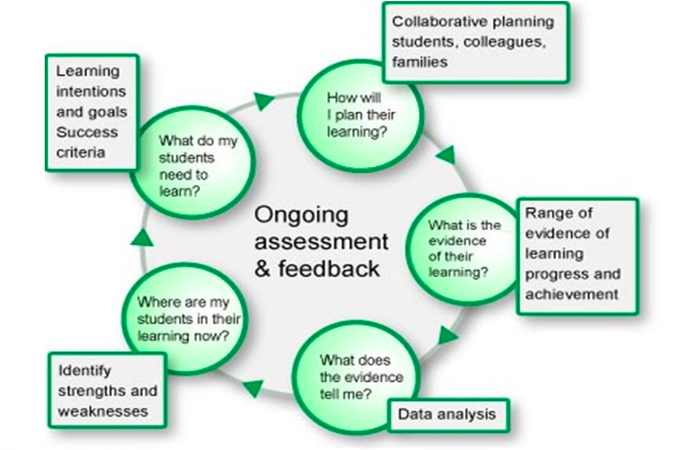 Impact of assessment on teaching and learning - are we designing assessments that support good teaching and learning? And alongside this, is the feedback that we give students helping to reduce the gap between where they are now and where they need to go next. Is assessment a scrapbook or a snapshot? We need to think about more holistic ways of viewing and assessing learning, for example combining observations and dialogue along with the products that students create. There was a great graphic shared about the stages of assessment. 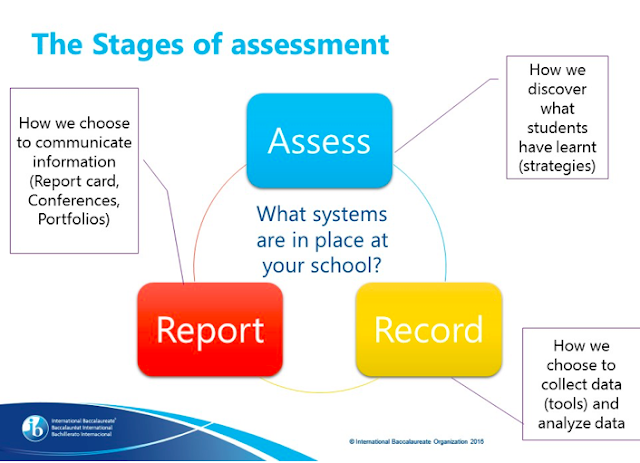 Again I really like the assess - record - report cycle indicated here. Assessment is a really huge topic. It has come up several times as a topic for the #pypchats on Twitter and I know that whenever I lead a Making the PYP Happen workshop it's something that the participants want to know more about. I really love this series of webinars as it gives me the opportunity to dig a little deeper into my understanding of various aspects of the IB programmes. I also appreciate the opportunity to learn more about the other IB programmes that I don't actually teach. I really hope that these webinars continue in 2017.